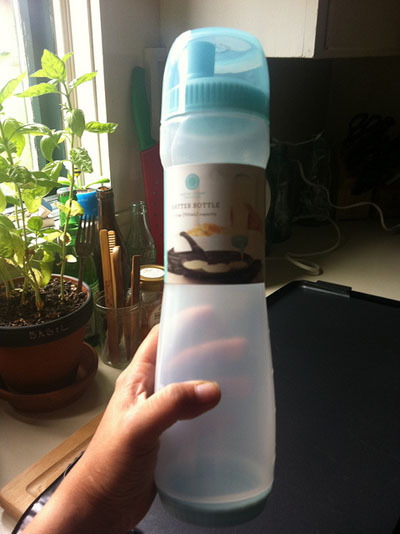 I have been just itching to use this Martha Stewart Batter Bottle. It works really great. 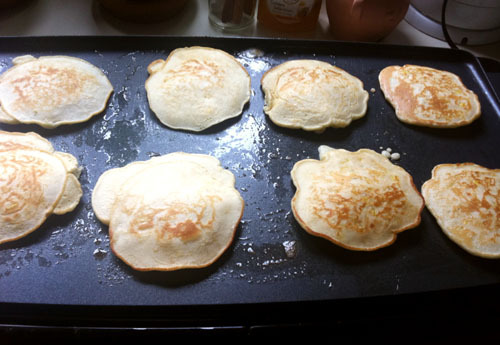 Well, unless you add corn to your pancakes like I did this particular morning. The batter still came out but the corn was left behind. 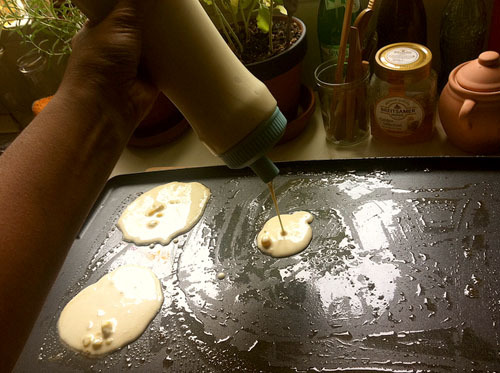 I had to dig the corn out with a spoon and glop it onto each pancake. Yes, sometimes I add corn to my pancakes. It's something my mom does and it is soooo good. Aaron doesn't like it. If I had known that before we were married.... kidding! May I ask where you bought the MS batter bottle? I got it at Macys!